Not sure what it's called, let me know! Not sure how much you want to spend, but this one is on eBay. Don't know if you need the chrome bezel or not. This one is not the best, but sometimes you have to take what is available. There's this '75 at one of the local yards here in Mpls. Took this pic last weekend. Car has 42K on the odometer...and a pocket ledger in the glove box from previous owner showing gas purchases and mileage up until 1987 when it was parked with same miles. Mcarlo77 wrote: There's this '75 at one of the local yards here in Mpls. Took this pic last weekend. Car has 42K on the odometer...and a pocket ledger in the glove box from previous owner showing gas purchases and mileage up until 1987 when it was parked with same miles. you got a phone number for them? Thanks! 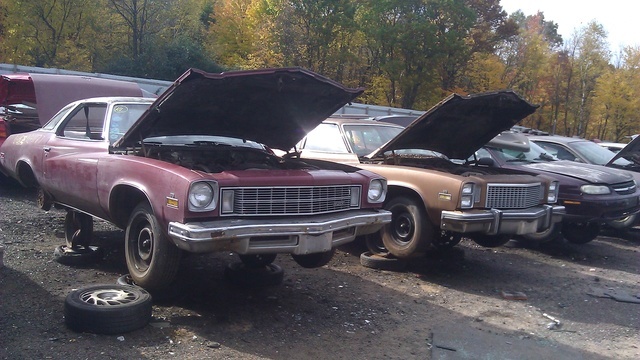 77camino wrote: Not sure how much you want to spend, but this one is on eBay. Exactly what Im looking for I believe thanks! Here you go. I ran out to that yard with the Buicks today to grab some parts and brought the RH side headlight housing back with me if you want it. $75 (plus shipping) gets you what's shown in the pic. 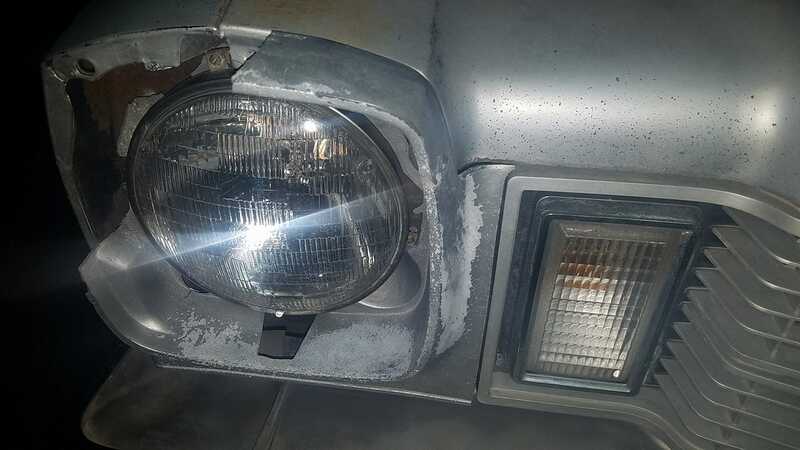 Nice bezel and undamaged housing with headlight bucket included. Let me know! Mcarlo77 wrote: Here you go. 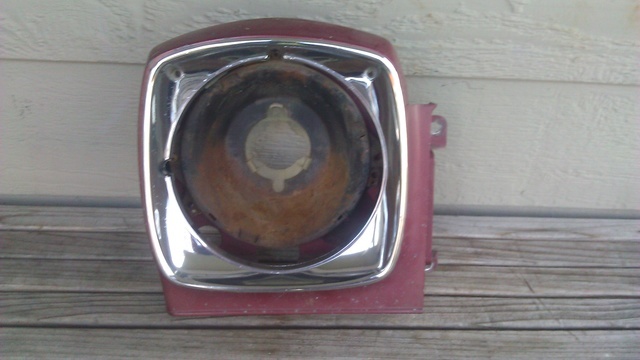 I ran out to that yard with the Buicks today to grab some parts and brought the RH side headlight housing back with me if you want it. $75 (plus shipping) gets you what's shown in the pic. Nice bezel and undamaged housing with headlight bucket included. Let me know!